Escape the city and get acquainted with southern England’s natural and historical beauty on a private 10-hour tour of Rochester and Dover, famed for its gleaming white chalk cliffs. 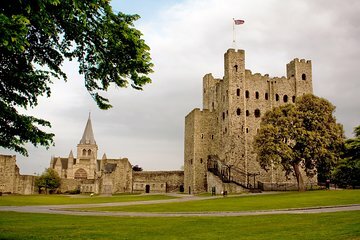 Explore the historical city of Rochester in Kent, home to Rochester Cathedral and Rochester Castle, the second-oldest in England. See, too, the 12th-century Dover Castle and marvel at the imposing White Cliffs of Dover. Hotel pickup and drop-off in London are included, however entrance fees to visited sites are not.